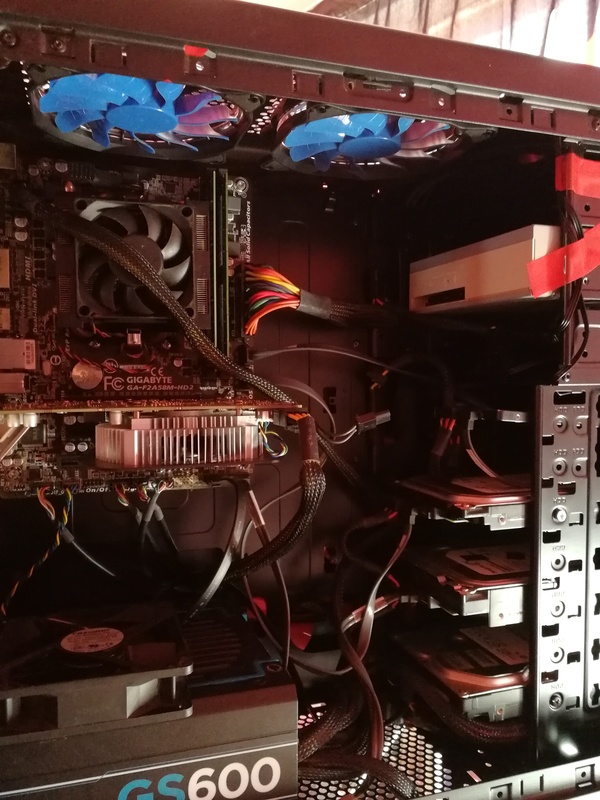 In the first two posts in this series, I talked about taking the computer apart and rebuilding it, and also detailed the specifications of my PC. 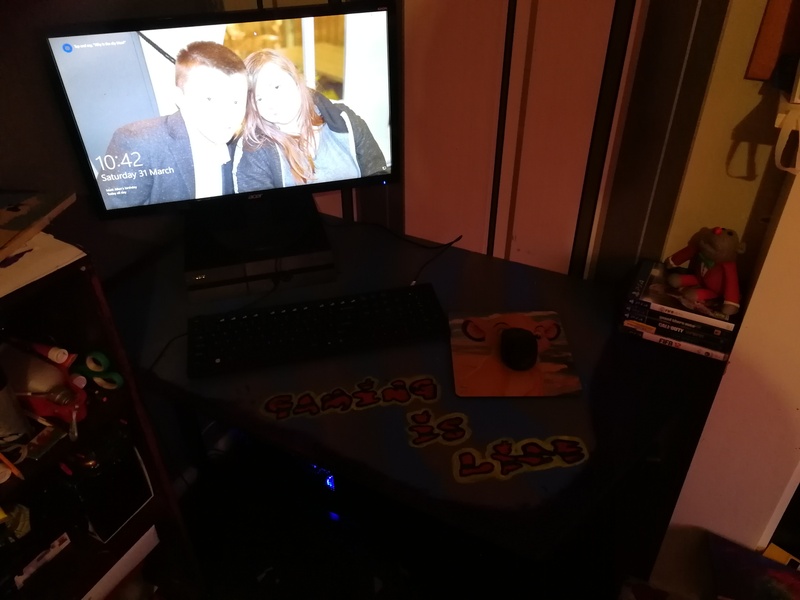 Since I was going down the route of cleaning up, rebuilding and re-purposing my PC for gaming – I needed a desk. It was Lynda’s idea to move the PC to the other side of the living room – and a friend of mine kindly has lent me an Acer 24″ monitor. After purchasing needed cables, I went ahead and moved this across. 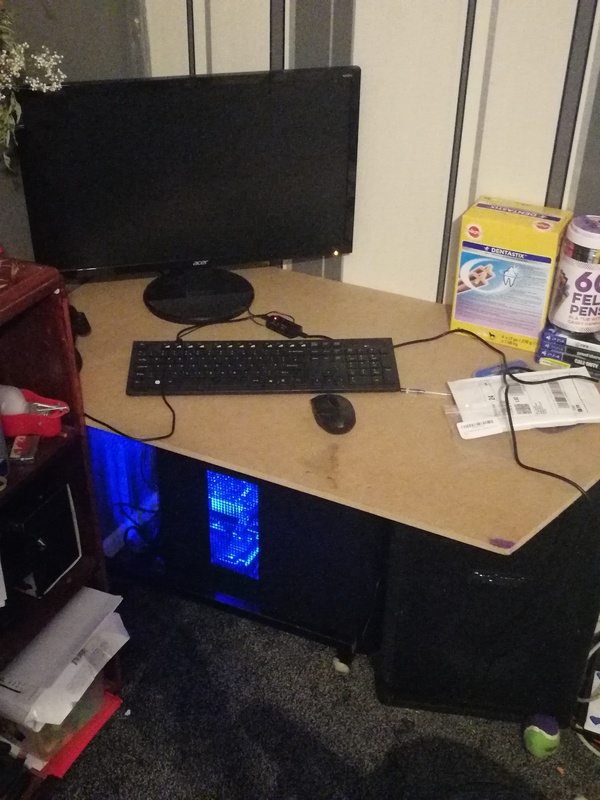 I don’t own a computer desk, or even a table big enough. So I went ahead and used a piece of wood that I had, cut it into shape and screwed this to a table and a bookshelf that I already had in the corner. 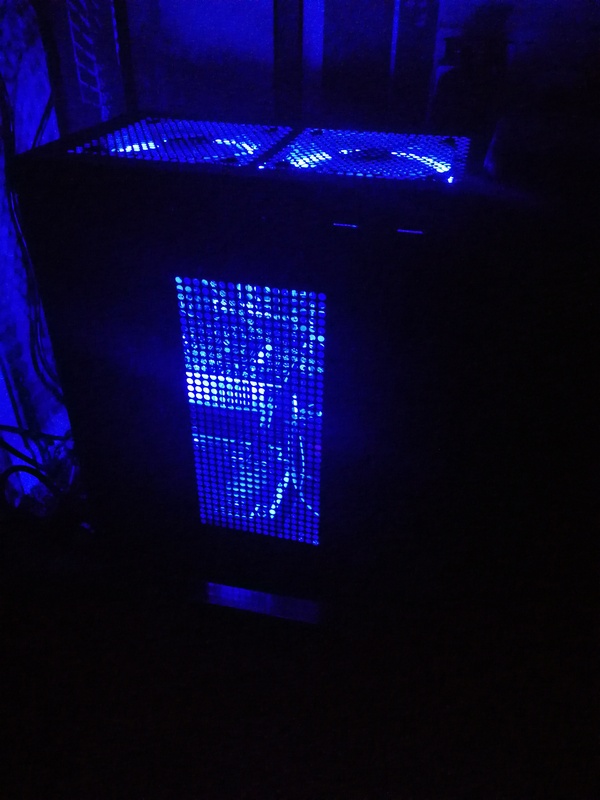 Set up my PC and the set up was looking pretty nice. (Just lacking a computer/gaming chair). Since the monitor had DVI and HDMI inputs, I also decided to move my Playstation 4 out of the bedroom and into this set up. And I must say, the difference between monitor and TV on PS4 really is noticeable – I’ve heard people say it before, but trust me – you really can see the difference on a 0ms lag monitor. Again excuse the mess, hope you like the set up.